Stacey's research focuses on galaxy evolution in the context of local environment through studies of massive galaxy clusters out to high redshift. Through multi-wavelength observations focusing on the mid-infrared to submillimeter, she characterizes star formation and AGN in cluster and field galaxies up to z~2 in order to determine how environment shapes galaxy properties and results in the quenched nature of cluster galaxies today. At Arizona, she has joined the Mid-Infrared Instrument (MIRI) team and is involved in planning early observations in preparation for the launch of the James Webb Space Telescope. Jennifer is involved in mapping the late-time evolution of massive stars using multi-wavelength observations of their interaction with their surrounding environment. This includes optical and IR light echoes and spectral changes due to circumstellar interaction. She is also interested in how, when, and where dust is formed in CCSNe, particularly with regards to mass loss from the progenitor star. 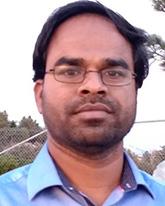 Narsireddy Anugu will be joining Steward Observatory in August 2019. Currently, he is a postdoctoral fellow at the University of Michigan and University of Exeter, UK. His main research focuses on optical/near-infrared high-angular resolution instrumentation. He worked on the development of ESO GRAVITY and CHARA MIRC-X interferometric instruments. Currently, he is working on CHARA adaptive optics and MYSTIC instrument developments. He has been involved and interested in imaging disks around protoplanetary and post-AGB binary objects. Nick uses ALMA to study the mass distribution of protoplanetary disks in stellar clusters to assess their potential for planet formation. He works with professor Josh Eisner and is a member of the Earths in Other Solar Systems team. Nick did his Ph.D. at the UA working with George Rieke to measure the structure and composition of debris disks. He was a regular contributor to the astronomy blog Astrobites from 2012-2014. 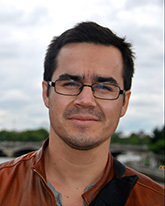 Carlos is a visiting scientist at Steward Observatory working with Prof. Dennis Zaritsky. His research focuses on the determination of spatially resolved stellar population properties of nearby galaxies using integral field spectroscopy, and its consequences to galaxy assembly in different environments. He is also interested in methods to improve the determination of stellar populations using Bayesian statistical models joining spectroscopic and photometric observations. In this visiting program, he is involved in the study of the initial mass function of nearby galaxies observed with the WIFIS near-infrared spectrograph. Pierre is interested in studying the interaction of black holes with its environments, and how such interactions could be used to probe the physics of extreme spacetimes. He is also interested in studying the population and formation of gravitational wave sources, e.g. his latest paper studied how gravitational wave observations can be leveraged to constrain the modification of the black hole mass function due to merging black holes in star clusters. Pierre joined Steward Observatory in the fall 2018 semester. Haeun Chung will be joining Steward Observatory in the 2019 fall semester to work with Prof. Erika Hamden. Haeun’s research focus is on astronomical instrumentation and observational astronomy in the areas of optical spectrograph and kinematics/dynamics of galaxies. During his Ph.D., he worked on building an optical multi-IFU spectrograph (DOTIFS) from overall conceptual design to the spectrograph optical design and the software development. He is also studying environmental effects on galaxy kinematics using SDSS MaNGA data and developing an IFU data post-processing technique (deconvolution). 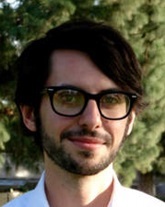 Taran's research has included: searching for the classifying circumstellar disks in nearby star-forming regions, characterizing the photometric variability of the coldest known brown dwarf, measuring a new distortion correction for the Infrared Array Camera on the Spitzer Space Telescope, and determining precise parallaxes for ultra-cool brown dwarfs. He completed his Ph.D. in 2017 advised by Kevin Luhman at Pennsylvania State University. Currently Taran is searching for the least-massive members in nearby star-forming regions as the inaugural Strittmatter Fellow. 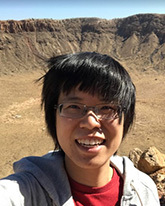 Xiao joined Steward Observatory on September 1, 2018 to work with Prof. Tim Eifler. As a Ph.D. student at Ohio State University, he worked on a broad range of topics, from observational cosmology to compact objects and stellar dynamics. He was also involved in analysis for the upcoming WFIRST mission. Areas of Interest: Circumstellar disk evolution and accretion behavior of young stars. Min works in the Steward Observatory and the Lunar and Planetary Laboratory. He studies how the circumstellar disk evolution depends on local environments and stellar properties, while investigating the accretion activities of young stars at different evolutionary stages. Megan studies galaxy clusters and groups, active galactic nuclei, and the relationship between galaxies and their environments. She works with surveys and data sets spanning the radio, millimeter-wavelength, optical and X-ray regimes. 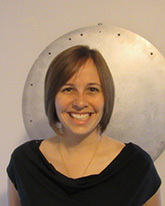 Before joining Steward Observatory, Megan worked at Johns Hopkins University and the Smithsonian Astrophysical Observatory. Kate studies variability in active galactic nuclei to learn about the physics of the inner regions around supermassive black holes and measure black hole masses. Using variability of the broad emission lines observed in AGN, Kate uses a technique called reverberation mapping to measure the distance of emitting gas from the central supermassive black holes. In addition, she uses variability in broad absorption features to learn about outflows launched from the AGN accretion disks. At Arizona, Kate has joined the NIRCam team and is working on observing preparations for the NIRCam extragalactic GTO program. 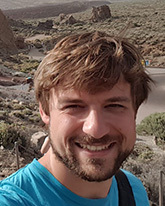 Sebastiaan will be joining Steward Observatory in October 2019 as an NHFP Sagan Fellow to work together with Dr. Jared Males and the MagAO-X team. 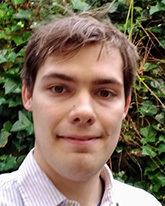 Sebastiaan’s research focuses on the development of high spatial and spectral resolution instrumentation for the detection of exoplanets and characterization their atmospheres. During his PhD he developed the Leiden Exoplanet Instrument (LEXI), which was a pathfinder instrument for optical/NIR high-resolution integral-field spectroscopy. One of his interests is the use of optical integral-field spectroscopy for the characterization of proto-planets and their formation. He is also interested in the applying the instruments and techniques developed for astronomy in other fields. Kevin looks at the relationship between active galactic nuclei and star-forming galaxies, exploring how an active central super-massive black hole grows alongside its host galaxy. His research aims to understand the extent to which obscured AGNs can affect gas throughout their hosts. 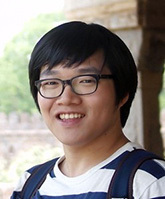 Hung-Jin will be joining Steward Observatory in September 2019 to work with Profs. Tim Eifler, Elisabeth Krause, and Eduardo Rozo. She investigates the growth of structure in our Universe to understand both cosmology and galaxy formation physics. During her Ph.D. at Carnegie Mellon University, she studied astrophysical systematics on weak lensing, with focuses on intrinsic alignment of galaxies and modeling uncertainties of baryonic physics. Areas of Interest: Observational astrophysics, with an emphasis ontime-domain surveys, obscured supernovae, and infrared transients. Jacob will be joining Steward Observatory in the fall of 2019 to work with Prof. David Sand. For the last four years, he has helped lead the Spitzer InfraRed Intensive Transients Survey, or SPIRITS, a search for transients with Spitzer/IRAC in nearby galaxies within about 20 Mpc from Earth. His primary research interests are uncovering hidden, heavily obscured supernovae and other kinds of dusty eruptions and explosions of massive stars. Areas of Interest: High resolution spectroscopy in the optical and infrared, the interstellar medium, photodissociation regions, planetary nebulae, molecular hydrogen, feedback from high mass star formation, elemental abundances in nebulae, H II reions, and dust. Dr. Kaplan graduated with a Ph.D. in Astronomy from the University of Texas at Austin in June 2017. There, he worked with Harriet Dinerstein and Dan Jaffe to study gas clouds out in space surrounding newly born or dying stars. Ultraviolet radiation from the stars excites hydrogen molecules in the gas, causing the molecules to rotate and vibrate. As the molecules slow down, they give off energy in the form of near-infrared radiation. Kyle observed this radiation from the molecules with the high resolution (R~45000) near-infrared spectrograph IGRINS that observes both the H and K bands (1.45-2.45µm) simultaneously. From these observations, I was able to infer the excitation and physical conditions such as the temperature and density within the observed molecular gas. At the University of Arizona, Kaplan will be working with Chad Bender on the high resolution optical NEID spectrograph. He will be helping set up the data reduction pipeline for NEID, which will turn the raw data from stars into precisely measured radial velocities to search for exoplanets. 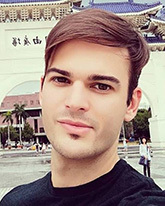 Leonardo is currently a PhD student working in the Theoretical Astrophysics Group, at the Niels Bohr International Academy, Niels Bohr Institute, University of Copenhagen, Denmark. 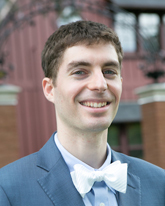 He will be joining Steward Observatory in fall 2019 as a Postdoctoral Research Associate to work with Professors Kaitlin Kratter and Andrew Youdin. Leonardo obtained his degree in Astronomy in 2015 at Universidad Nacional de Córdoba, Córdoba, Argentina. 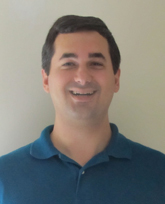 His research is focused on numerical Astrophysics applied to planet formation and protoplanetary disk dynamics. His interests include plasma physics in the framework of non-ideal Magnetohydrodynamics and multi-species dynamics accounting for the momentum transfer between multiple species, in particular, the aerodynamics coupling between gaseous fluids and dust grains. 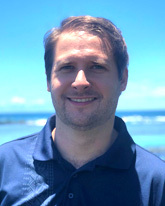 Sebastiaan joined Steward Observatory on September 1, 2018 to work with Prof. Daniel Apai. Sebastiaan uses numerical simulations to study the behavior of dust particles in protoplanetary disks. 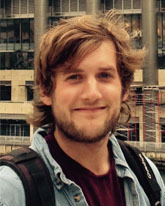 He is interested in understanding how, where, and when microscopic dust grains coagulate to form km-size planetesimals (the building blocks of planets), and how the dynamical behavior of dust grains influences the chemical composition of the growing solids and the protoplanetary nebula as a whole. Dr. Lee will be joining Steward Observatory in September 2017. Gwang-Ho Lee's research mainly focuses on studying which mechanisms trigger galaxy transition from star-forming galaxies into quiescent galaxies, and what happens during the galaxy transition. During his Ph. D. course, he studied the multi-wavelength properties of galaxies in a full range of environments to understand the environmental effects on galaxy evolution. He is involved in several post-starburst galaxy projects using the Gemini telescope. Jarron's research focuses on the evolution of protoplanetary disks and how it relates to planet formation. In support of these research goals, Jarron contributes towards the development of IR instrumentation projects such as LBTI/LMIRcam and has most recently joined the JWST NIRCam team as an instrument test scientist. 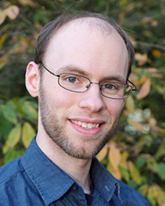 Michael Lundquist joined Steward Observatory on August 1, 2018. Michael is an observational astronomer with broad research interests. His research background includes studies of classical novae, massive stellar binaries, and intermediate-mass star-forming regions. Michael works with Prof. David Sand as part of the DLT40 supernova survey. Garreth will be joining Steward Observatory in the fall of 2019. 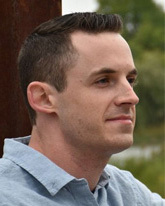 His research lies at the interface between observational and theoretical astronomy, combining state-of-the-art hydrodynamical simulations, survey data and machine-learning techniques. He is interested in how the diversity of present-day galaxy populations arises during their assembly and how underlying processes like mergers, feedback and environmental processes drive these changes. His current work focusses on the formation mechanisms, evolution and morphology of low-surface-brightness galaxy populations that have gone almost unnoticed in previous wide-area surveys and represent an important additional axis for constraining our understanding of galaxy evolution. 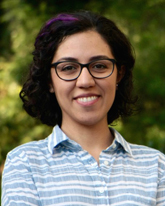 Vivian Miranda joined Steward Observatory on September 1, 2018 to work with Prof. Elisabeth Krause. Vivian’s research is focused on probing inflation, the epoch of reionization and dark energy with the Cosmic Microwave Background. She has done her Ph.D. at the University of Chicago under the guidance of Prof. Wayne Hu. Vivian is also keen on understanding how extensions of the LCDM model can be constrained via the combination of the CMB with low redshift probes. 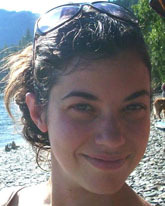 As a postdoc at University of Pennsylvania, she has developed research on how to test fundamental assumptions about the standard model using model-independent techniques. 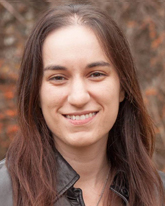 At the University of Arizona, Vivian intends to dedicate her time to the Dark Energy Survey (DES), in particular, to cluster cosmology and weak lensing. Vivian's work stands on the bridge between theory and data, and she is open to radically new ideas, as long as it can be falsified by either the CMB or the DES/LSST/WFIRST surveys. 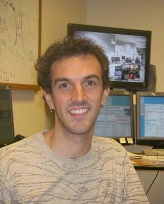 Burcin's research interests encompass both theoretical and observational aspects of extragalactic astronomy. She studies the structure and dynamics of galaxies, and examines what these can tell us about the galaxy formation process. Her recent research in galaxy structure has led to a discovery of an extremely rare galaxy. This work has provided a first description of a double ringed elliptical galaxy. Currently, she works on the general topics of nearby galaxies, resolved stellar populations and near-field cosmology. Cristobal will be joining Steward Observatory in August 2019. His research focuses on understanding the formation and evolution of planetary and stellar systems using the information encoded in their orbits and astrophysical environments. He did his PhD at Princeton where he studied the role of orbital migration at shaping the architecture of observed exoplanet systems. Currently, as a postdoc at CITA, he has also worked on the dynamics of multi-stellar systems and their role at producing gravitational wave sources. 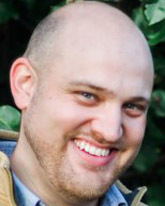 Ben studied the atmospheres of exoplanets via ground-based observations. He uses spectroscopic and photometric approaches to investigate molecular absorption and emission features of super-earths and hot jupiters, which constrain atmospheric models of these planets. These techniques can be applied to future projects characterizing the atmospheres of Earth-like planets in the habitable zones of nearby stars. 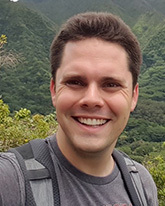 Ben earned his PhD in Astronomy and Astrophysics from the University of Arizona in 2018, and joined Dr. Daniel Apai's EOS Team on characterizing extrasolar planets with special emphasis on small transiting exoplantes. Irene Shivaei earned her Ph.D. at UC Riverside, advised by Professor Naveen Reddy. 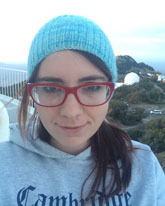 Her work is part of the MOSDEF project to use the multi-object near-infrared spectrograph MOSFIRE on the Keck I Telescope to study the high redshift (z~2) Universe. She has focused on determining accurate star formation rates, comparing estimates from H alpha and H beta with those from infrared measurements, and on the behavior of the mid-infrared aromatic bands with metallicity. She will expand this work with JWST, using MIRI GTO data in the Hubble Ultra-Deep Field region. 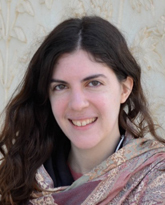 Irene is also involved in outreach, for example as a co-founder of the StarYab astrophysical literature website with weekly discussions of recent astronomy research results in Persian. I've been working to understand the physical nature of protoplanetary disks around young stars to better understand how the late evolution of proto-star--disk--proto-planet systems produce the variety of planetary systems observed. Carlos studies the relationship between star formation and the diffuse inner halos of spiral galaxies. He is particularly interested in the mechanisms behind the prevalence and support of matter residing outside of star-forming galaxy disks. He has led studies analyzing the cycling of gas and cosmic rays between galaxy disks and halos, as well as a study of high redshift Lyman-alpha emission. 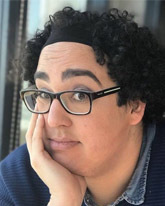 Carlos joined Steward Observatory in September of 2018 to work with Dr. Erika Hamden. 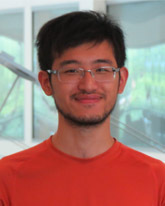 Feige Wang will be joining Steward Observatory as an NHFP Hubble Fellow in the fall of 2019, and will be working with Prof. Xiaohui Fan. His research focuses on finding the most distant super-massive black holes (SMBHs) and using the most distant quasars to investigate when did reionization occur, what was the SMBH accretion history and how was the growth of the SMBHs linked to the assembly of early massive galaxies. 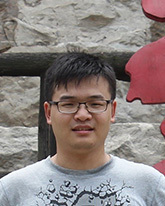 He obtained his Ph.D. from the Peking University in 2017. Afterwards, he moved to the University of California, Santa Barbara as a post-doc for two years. 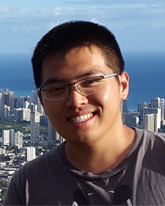 Sixiang Wen joined Steward Observatory in January 2019 working with Prof. Ann Zabludoff. His research focuses on modeling the accretion of Tidal Disruption Events from first principles. Sixiang is currently working on fitting the X-ray spectrum and light curve of TDEs to constrain the mass and spin of the central supermassive black hole. His other interests include dark energy and black hole astrophysics. 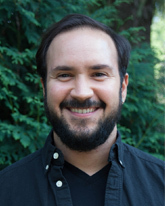 Ryan Westernacher-Schneider will be joining Steward Observatory on September 1, 2018 to work with Prof. Vasilis Paschalidis. Ryan grew up in Toronto, Canada. He was an undergraduate at the University of Toronto, and did his graduate studies at the University of Guelph and the Perimeter Institute for Theoretical Physics with Luis Lehner. He has worked on the statistical theory of relativistic turbulence using analytic techniques and numerical simulations, and applied it to turbulent black holes via the fluid-gravity duality. He has ongoing work on tidal disruption events, as well as gravitational wave asteroseismology of core-collapse supernovae and associated multimessenger detection strategies. 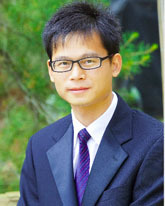 Dr. Yang joined Steward Observatory in November 2017. 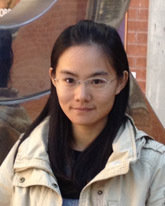 Jinyi's research focuses on quasar evolution and quasar surveys at high redshift. During her thesis, she measured the quasar luminosity function at z ~ 5 and studied the quasar evolution model at high redshift. She carried out a survey of quasars at the redshift gap (z~5.5) of quasar color selection using a new selection pipeline. 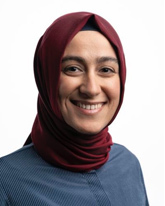 She is working on the study of multi-wavelength properties of quasars and the co-evolution between SMBHs and quasar host galaxies at z>~5, and is also involved in searching and follow-up works of quasars at z>~6. Additionally, she is interested in absorption systems towards quasar spectra, which can trace the redshift evolution of neutral hydrogen and metals in the intergalactic and galactic scales. At Steward Observatory, she will continue the research on high redshift quasars and the cosmic reionization. Areas of Interest: Galaxy structure and gas halos, low surface brightness galaxies. Huanian received his Ph.D in theoretical particle physics, specifically in new physics beyond Standard Model. Huanian's research mainly focuses on ionized gas halos of low redshift galaxies. Using a sample of nearly half a million foreground galaxies, probed by over 7.4 million low-background spectra from the Sloan Digital Sky Survey Data Release 12, Huanian traces Halpha emission to about 100 kpc galactocentric radius. Huanian has also presented the first evidence for a widely distributed, neutral, excited hydrogen component of the Milky Way Galaxy that is observed only as slight absorption in the combined spectra of millions of galaxy spectra. 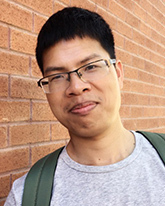 Huanian's research interests also include mapping the CGM of individual galaxies, searching for globular clusters within the local volume, and building the all-sky catalog of Ultra Diffuse Galaxies.